In 2006, an exhibition of Bill Viola’s Hatsu-Yume (First Dream) (1981) at the Mori Art Museum in Tokyo drew more than 350,000 visitors. His solo show, The Passions (an ongoing series begun in 2000), at the J. Paul Getty Museum in 2003 drew more than 135,000 visitors, while showings of Tristan und Isolde, the opera for which he created visuals in a new production directed by Peter Sellars and conducted by Esa-Pekka Solonen in 2004, have been consistently sold out since the opening (the production is still touring globally). His largest exhibition to date at the Grand Palais Paris in 2014 drew as many as 3,200 visitors each day. Other current exhibitions span North, Central, and South America, Europe, Asia, and Australia. One of the most acclaimed artists of the twenty-first century, Viola’s work is compelling and popular for many reasons, namely its invocation of spiritual meaning alongside his employment of cutting-edge technology. Considered a pioneer of video art, the history and development of media technologies are central to Viola’s trajectory as a visual artist. However, the meteoric evolution of visual technologies in the past several years has had a major impact on his process, creating a host of challenges that has, by necessity, forced him to abandon the technological component of his work. Not because his interest or acumen in his medium have receded. Rather, the perpetuity of upgrades to the technology necessary to capture, edit, and store the image would otherwise consume the majority of his time and attention, requiring him to relinquish the essential aspects of his practice. These changes to Viola’s process illustrate how visual technology has perfected itself to the point of exceeding its serviceability to the work and often inhibits the process of creating and storing it. Subsequently, the phenomenon of rapid technological development precludes our ability to reasonably understand and manage its effects. This essay explores the impact of technology growth on Viola’s video work, particularly the division between ocular (external) and intuitive (internal) vision. I have had the privilege of working for Bill Viola and Kira Perov (his wife, executive producer, and co-creator of many of his works) for over fourteen years, helping to produce some of his most important projects with increasingly complex technological challenges. Although I work closely with Viola and he is unendingly supportive of my efforts to come to terms with meaning in his practice, I do not believe that he necessarily agrees with all that my writing puts forth about his work—he is far more accepting and malleable about the rough and exacting shifts of new technology that complicate our processes in the studio. He generously encourages the exploration of his work as a node for examining broader concerns of conceptual changes in light of technological advancement. Viola has always been cautious about media, such as television, that works to disrupt, rather than integrate, the sensory intelligence of the body. He places primacy on the integrated intuitive body, weakening the eye/brain connection by playing with, distorting, or slowing down literal or concrete images, allowing the conceptual mind and the perceptual body to work in concert. Viola has always worked with visual technology in a haptic manner (through sense of touch), conforming the technology to uncover deeper layers of perception. Viola was one of the first video artists to explore the notion of landscapes with video media. He discovered that he could reproduce an image he took of a flat field of snow with a blue sky in Saskatchewan using video signals. He would use the white signal by putting it across the bottom of the screen and then putting the blue signal across the top of the screen to create a split screen. Due to the low resolution of video at the time, Viola said that he couldn’t tell the difference between what was created in nature and what was created through the machine. This lead him into the study of mirages, which looked a lot like the color-pattern images some artists were rendering at the time in visual electronic music. He was able to further explore this technique in the Sahara Desert creating works like Chott-el Djerid [A Portrait in Light and Heat] (1979). Specific objects like pebbles or bushes became disembodied in the desert mirage. Through the optical device of the camera, Viola was able to explore the limits of vision; the thresholds of where images, and perception, break down – “the point where it’s neither here nor there.”[viii] At this time the mechanics of video production were closely interlaced with the image being captured, and for him it is this correlation that made the work. The visual and technological explorations were much more intertwined than they are today, the technology was still a malleable medium, and the terms of visuality were being created in tandem with the technology. Viola’s involvement with the technological part of his work receded when his studio modernized its editing system with Final Cut Pro for Tristan und Isolde (2004). Viola was editing hands-on with a linear analog Beta SP system (using monitors and multiple tape decks) procedurally identical to the ¾” tape-to-tape system he used in college. This arguably antiquated system (computerized digital systems were increasingly utilized starting in the early 90s) kept the process physical for Viola. The studio purchased the Final Cut Pro system and hired an editor to work on rough assembly. Knobs and familiar buttons were replaced with keyboard and mouse, the new language of a digital editing system. At this point Viola opted to learn enough about the new Final Cut Pro system to be able to view previously imported material, but more or less stepped back from active participation in the hands-on editing process. Much of the new technology, in all of its sophistication, has become increasingly difficult to utilize in any complex configuration. It is more accessible from a consumer standpoint, but its accessibility has increased in inverse proportion to its standardization and usability. What has happened is that the technology that once had a linear process (with film and tape) is now a frenetically interconnected network of choices (digital cinema uses different codecs compression/decompression algorithms), all of which are so minutely differentiated that cutting a path through them involves a committed team of experts. There are many stages to this challenge: media capture, offline edit (sequencing), online edit (visual effects and rendering data to a high-resolution output), storing the data on a server, which then feeds the data onto a plasma screen. The compatibility considerations between each of these steps have become exponentially more complicated as the manufacturers of each tool (camera, data capture, data storage, data output and display, etc.) design stricter proprietary loopholes making the communication between them extremely difficult. Where there were once a handful of clearly defined technologies and workflows with standardized equipment made by a handful of manufacturers, there are now no standardization and myriad manufacturers who do not share platforms. This results in an endless chain of compatibility considerations, a black hole of user discussion forums with contradictory information, and often, systems so new (the tyranny of the perpetual upgrade) that the only place to find instruction manuals (when wanting to know more about a product before purchasing) is the publicity material from the manufacturer. Because of the competition between manufacturers and the constant upgrading of devices, instructions and specifically trouble-shooting details are often withheld to conceal the devices’ limitations while protecting proprietary information. Inherent in our technological strategizing are the necessary discussions of the impending obsolescence (limited shelf life) of the very devices and systems we are considering using to solve our current challenges. Still, Viola continues to employ the latest cameras in making his current works, and relies now on an expanding team of technology-savvy individuals to aid in navigating the myriad options that each offers. Viola’s work has evolved in the direction of high-definition technology, but the subjective element supplied by the quality of the image, high or low, remains as important as ever. He may be one of the only media artists who still employ a range of cameras to achieve the spectrum of image resolutions they provide. Although a lot of artists and technicians are doing very interesting things with new visual technologies, the drive in visual technology is toward making the image more real and more objective. The new technologies offer an ever-increasing multitude of choices, but the choices are trained toward the obsession with image resolution, narrowing the palette of visual textures rendered by variances in quality and resolution. It seems that high resolution/extreme image clarity is the only color left in the paint box. The isolation of particular senses for intense stimulation can cause other senses to cease operating and henceforth disable our capacity to perceive the measure of these effects. [ix] In the field of visual technology, the relentless improvement in image resolution illustrates the isolation of vision over the totality of perception. Viola’s work has always aimed to synchronize the senses where the visual component becomes the gateway to the internal, emotional dimension. If the image were an end unto itself, the work would have no meaning or purpose. The obsession over image clarity has made the exacting image so important, emphasizing McLuhan’s idea that our perceptual and reasoning capacities have been compromised. The complexity of the technology needed to capture the new “ideal” image is increasingly engulfing and compromising our vision sense. The more prolific the visual technologies used to make Viola’s work become, the greater their instability in some regard. Not just in terms of their complexity and fussiness, but also how they function to preserve the practice of making art as a historical record. To make video art with the current technology-driven challenges and desires, Viola has had to consider new modes of presentation and preservation of the work with progressing generations. As technology renders video art more ephemeral through the increasing ease of, and multiple channels for, reproducibility, it likewise makes the process of archiving this media increasingly challenging. We are at a point where technology’s rapidly increasing innovation is running ahead of our capabilities to preserve video works. All art requires continued maintenance to curtail degradation. The maintenance required to safely store video art is an almost constant process due to the pace at which archiving technologies update and change. The inverse proportion of image clarity and image stability underscores the paradox of how these technologies, purported to safeguard the art, simultaneously undermine the security of preserving it as an historical record. Sophisticated innovations in technology are causing the erasure of the evidence of our presence over time. We progress, and we disappear. This is either a marker of a great leap in our evolution (we no longer require archives of great works), or signals disengagement with the past. The intention of Viola’s work has always been to reside in the internal contemplative mind, and privileges feeling over concept. In his early work, as now, Viola views images in an off-axis manner. He sees an image viewed literally as becoming purely optical (rational and intellectual) rather than visual (belonging to the realm of inner visions and dreams). This doesn’t mean that Viola abstracts images, in fact, he often looks directly at them for long periods of time to create a space of contemplation where referents to concrete meaning in a given image dissolve and give way to a non-literal, emotional and direct experience of the image. I Do Not Know What It Is I Am Like, a work Viola made in 1986 during a residency at the San Diego Zoo and shot in standard definition (480 x 720), is an example of how Viola brackets literal form to create a contemplative space where the literal, conceptual component of an image gives way to an emotional experience of it. In this piece he investigates various animals in their habitats by focusing the camera on their physical forms and often punching in to show close-ups of the creatures’ eyes. In this mode of looking Viola has created a kind of musicality of watching, a dance of seeing and being seen. He creates a meditative space where the act of viewing creates a confrontation with otherness and an awareness of the isolation of the seer and what is seen. He dismantles the architecture of forms, looking at the component parts of the animals and offering us an abstracted perspective. Martyrs (2013), a four-panel piece looped on 58-inch plasma screens was commissioned by St. Paul’s Cathedral in London. It provides an example of how ocular function takes on it’s own significance due to the sophistication of the technology. It does so by privileging vision over what is essential to its execution. Martyrs visualizes the threshold between life and death, agony and submission, light and dark, the earthly and the transcendent in shockingly clear detail. The images are a scene of earth leaving the body of a man who has been buried under it, a woman bound by her hands and feet being blown by violent wind, a seated man being consumed by flames (through visual effects), and a man hung by his ankles underneath a torrent of water. These images isolate a moment of transcendence, where the individuals seem to relinquish their lives in an act of sacrifice. Martyrs was created using an Arri Alexa Pro for its capability to create slow motion, and although the camera shoots in 4K (4,000 pixels), we elected to only shoot in 1080p because that that was all that was required for the display of the images on the 58-inch vertical plasma screens. The clarity of the images in Martyrs is magnificent. However, the management of the excess of such high- resolution data created a host of challenges in post-production. From a creative standpoint it is perplexing that such increased upgrades in resolution are embraced and championed so enthusiastically when the image resolution has no bearing on the content itself. This is as true for Viola’s work as it’s ever been. The image becomes clearer and perhaps more awe-inspiring, but it has no effect on the material’s origin or how it is articulated visually. This is better formed by McLuhan’s assertion that the medium is the message. Today, the technology of image display seems to have usurped content as the reason for looking. This is not to diminish the importance that image resolution has had on Viola’s work. As technology has enabled the image to become clearer, Viola has physically moved in closer to his subjects when shooting them, as a way to explore deep emotional registers at close range like that found in the Quintet series (2000) and other works in the Passions (2000-2002). Crystal clear image resolution has also allowed Viola to create and exhibit larger works like The Crossing (1996), Going Forth By Day (2002), and Tristan und Isolde (2004) to spectacular effect. The incessant and obsessive improvement of technologies that are continually upgraded makes little impact on the meaning in Viola’s work. For him the technology is only useful insofar as it magnifies what he feels is necessary to see in the image. The clarity of the image for him must be in service to a magnified internal register of feeling. Since the viewer registers an image first, Viola’s process involves his signature slowing down of the image, rendering a subjective view of the scene in order to appeal more in concert with the internal realm of the viewer’s emotions. While new technologies seem to make the operations of making a moving or still image easier and faster, it does not allow for a sense of control over the image that Viola is looking for. The slowed pace of the moving image in Viola’s work has been complicated by the advances in image resolution. Viola says that an image captured in real time plays back like a foreign object to him. [x] It isn’t until the image is successfully slowed and becomes subjective that he can begin his work. French philosopher Jean Baudrillard assertion that, “the highest definition of the medium corresponds to the lowest definition of the message”[xi] aptly expresses Viola’s preference for reaching the inner sensations of the viewer over their acceptance or concern with the mode of technology used to achieve this response. Viola’s work is becoming more philosophically focused on how life is changing simultaneously with technology’s advancements. He says that “there is a push not only in technology, but in life itself, to do something a little bit better, a little bit stronger, more complex; it’s always moving in some weird direction that we don’t even know, but the whole universe is doing that [and] technologically [is] one small part of that forward motion.”[xii] Contrary to what my thesis puts forth, he insists that technology “is not necessarily ahead of us” but rather how we are capable of striking a balance between opposing forces. [xiii] He invokes the Greek figure Prometheus, who brought the gift of fire to humans. With it’s multiple properties fire a “techne”, meaning “trick” and a gift from the gods, which has the capacity to be helpful and harmful, life giving and destructive. Viola quotes a conversation he had with the Dali Lama who said, “it’s not about the technology, it’s about individual choice and discernment.”[xiv] Fire and technology are fundamentally-neutral it’s about how we use these powerful tools. It is apt that Viola is heading inward while technology continues to advance outward. Viola’s long career illustrates mastery with working the tension between the inner and outer realms, but as the technologies used to make his art become less malleable, it parallels with an active decline in Viola’s physical engagement with the technology. His position is embolden by the artist’s mastery over his medium—the content of his work is not formed by the radical changes in technology but first realized in a mode of internal articulation. As innovations in visual technology isolate the ocular function in the obsessive drive toward image clarity, Viola’s work serves to remind, or “warn” us, what is sacrificed in this enslaving pursuit – the body’s greatest privilege: the ability to feel. Genevieve Anderson is an artist, filmmaker, and producer who has worked with the Bill Viola Studio since 2001 and has been producer since 2007. She assisted in creating works for The Venice Biennale and the Saint Paul Cathedral, London, among others. Her puppet films have played at festivals worldwide and have been broadcast on ARTE and IFC. She is a Rockefeller Media Arts Recipient and an Annenberg Fellow (USC). [ii] Marshall McLuhan, Understanding Media: The Extensions of Man; McGraw-Hill Book Company, 1965, 55. [iii] McLuhan, Understanding Media: The Extensions of Man, 55. [iv] McLuhan, Understanding Media: The Extensions of Man, 53. [vi] Ibid, interview with Viola. [vii] Ibid, interview with Viola. [viii] Ibid, interview with Viola. [xiii] Ibid, interview with Viola. [xiv] Ibid, interview with Viola. [xv] Ibid, interview with Viola. [xvi] Ibid, interview with Viola. [xvii] Ibid, interview with Viola. [xix] McLuhan, Understanding Media, 64-65. [xxi] Ibid, interview with Viola. 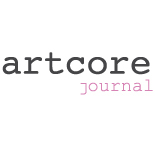 This entry was posted on January 14, 2015 by artcore journal in Issue 2: Introvert/Extrovert and tagged Bill Viola.